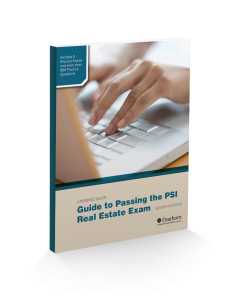 The seventh edition of this best-selling book offers the latest and most comprehensive information available to help students prepare for the PSI Real Estate Exam. Based on the latest content outline, this text simulates the style, difficulty, and content of the PSI exam and offers more questions and answers than any other PSI exam prep book on the market. Including three practice salesperson exams, two practice broker exams, matching exercises in each chapter, and a self-scoring tool to chart progress, this is the most comprehensive study guide for passing the PSI exam — the first time.